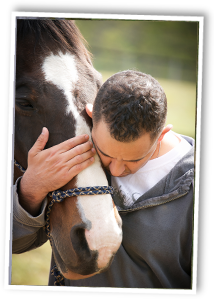 Highly experienced and trained personnel guide high-quality equine-assisted activities and therapies for wounded veterans. 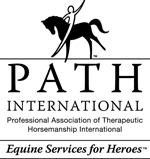 As a PATH Int’l Premier Accredited Center, LTR is proud to offer its Equine Services for Heroes program to veterans at no charge. 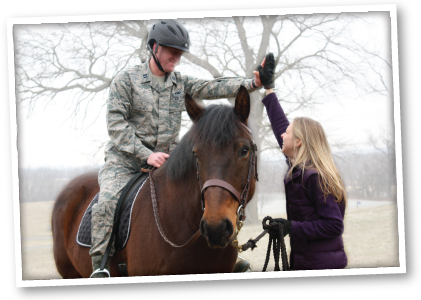 In response to the growing need for therapies for veterans, the Equine Services for Heroes program uses equine-assisted activities to aid wounded warriors in recovery. Participants of the program often have diagnoses like Post Traumatic Stress Disorder (PTSD) or traumatic brain injury (TBI), both of which can have global effects on physical, cognitive, social, emotional, and behavioral health. With the help of our equine partners, we provide these individuals the opportunity to regain valuable skills lost due to injury or trauma in a safe and supportive environment. Please contact us for more information on how you might become involved with or support equine assisted activities as a donor, participant, or volunteer.